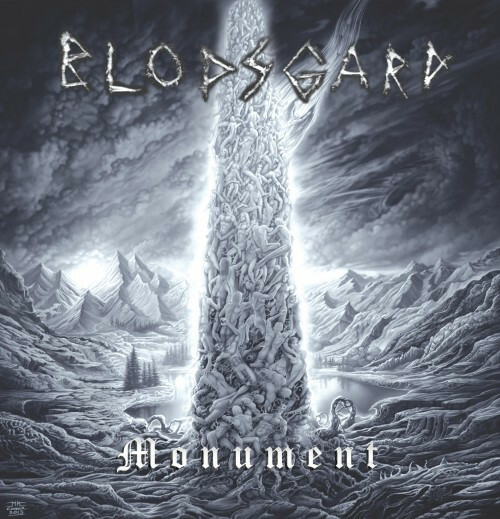 I’ve been waiting for Blodsgard’s debut album for a long time. When I saw the title and the fantastic cover (conceived by the band and executed by Mark Cooper), I smiled. I wanted something monumental, and it seemed this was Blodsgard’s intent, too. All told, the album is the result of five years’ of work that included extensive re-writing, re-arranging, and re-mastering. Four of the songs originally appeared on the band’s superb 2011 EP Solve Et Coagula (reviewed here), though they have been re-mastered for the album. Under a different name (“Mitt blod flyter”), the closing track also appeared in 2011 as part of a special limited release that we helped distribute (informally labeled A Taste of Future Darkness), though it has been changed in subtle ways. As far as I know, the other three tracks haven’t previously been made publicly available. Even if you’re familiar with Solve Et Coagula, Monument will surprise you in its variety and in the extent to which Blodsgard’s sound has continued to evolve. And if this will be your first exposure to Blodsgard, something very special is waiting for you. The album begins and ends with the sounds of rain and thunder. In between those moments Blodsgard deliver more than 40 minutes of meticulously crafted, intricately textured music that ranges from intense, ravaging assaults of black metal rage to haunting, subdued, and quite beautiful expressions of grief and resignation. 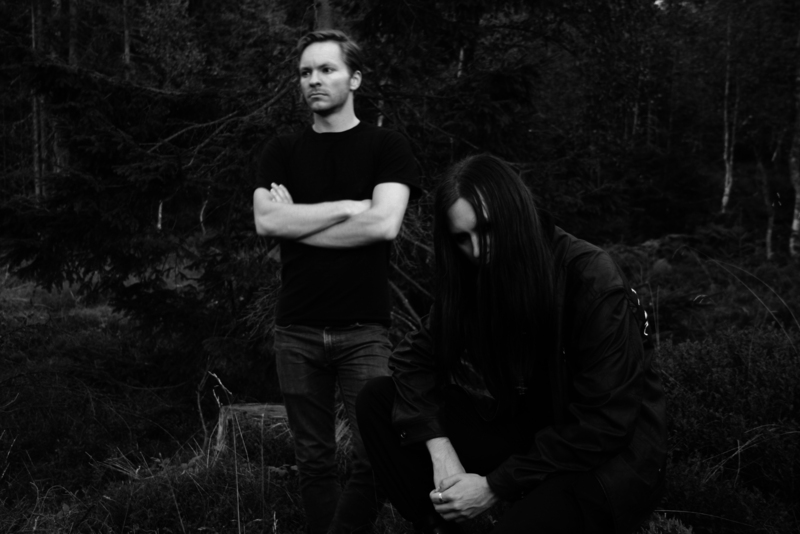 It’s both a spiritual homage to the traditions of Norwegian black metal and an exploration of more modern musical expressions of the band’s antipathy to the suffocating effects of fanatical dogma on individual freedom. The result is something that’s difficult to compare to the music of other groups; in a genre that’s become saturated with bands who sound alike, Blodsgard have found their own identity. Blodsgard’s composition process itself is unusual. It begins with the lyrics, written in Norwegian by Stein Akslen (who is pursuing a masters degree in the History of Religion), and then Fredrik Rex creates the music around them, performing all the instruments on this album and providing the vocals (the band does include drummer Kenneth Mellum, but on this album all the drums were programmed — though you wouldn’t guess that). Rex himself lives in a Norwegian community above the Arctic Circle, in a land of weather extremes, where darkness reigns for three months of the year. His surroundings seem to have seeped deeply into the music. There is a wintry chill that blows through the album like an Arctic wind, and yet the music is also fiery and emotional, and most of the songs blend the two atmospheres together in varying degrees. 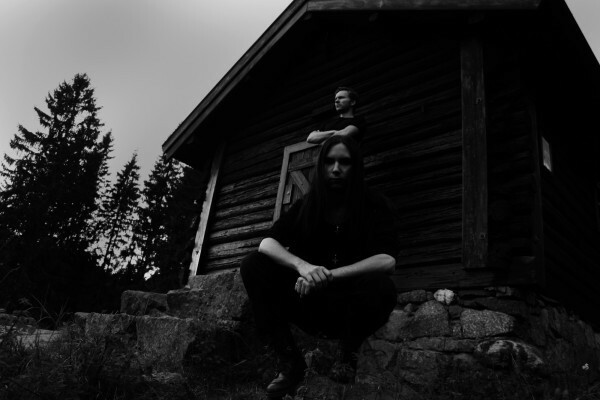 Tracks such as the opener “Påkallelsen” (Invocation), “Hagalls Sirkell” (The Circle of Hagall), and “Kaoskonstruksjon” (ChaosConstruction) are warlike assaults of scything tremolo chords, heavy-artillery drumming, and scarring vocals. Yet mid-paced chiming guitar chords break the attack in “Påkallelsen”; “Hagalls Sirkell” includes a surprising rhythmic interlude and jagged, jabbing bass riffs; and “Kaoskonstruksjon” changes moods with the deep, ominous sound of horns and a trilling guitar melody. “Sjeler vil brenne” (Souls Will Burn) is an example of transitioning moods. It begins slowly with an acoustic guitar melody and then becomes increasingly intense, building toward an almost overpowering layered guitar melody before subsiding into a dual tremolo-guitar solo at the end. Contrasting moods are also strikingly evident in “Livet er avlyst” (Life Is Cancelled! ), one of the album’s longer songs and one of those that incorporates modern musical elements. It also begins slowly, with looping, reverberating electronic notes and the ghostly exhalation of choral voices. The song eventually erupts with a tortured howl into an all-out attack of blasting percussion and ripping guitars — and then moves back and forth between these two musical states, eventually uniting both of them in a concluding passage that is somehow both hypnotic and harrowing at the same time. When I wrote earlier that Solve Et Coagula won’t fully prepare you for what Monument holds in store, I had in mind not only “Livet er avlyst” but also the title track and “Svart blod flyter” (Black Blood Flows). Astutely inserted roughly in the middle of the album, “Monument” is a striking surprise. It begins with a beautiful, clean electric guitar melody, slow and mystical, accompanied by ghostly whispered vocals, but then shatters the mood with big smashing riffs, harsh vocal proclamations, and the introduction of deep organ notes, echoing as if recorded beneath the vault of a cathedral. By the end, the organ melody becomes more complex and sublime, joined briefly by the voices of a male chorus. The song as a whole is an atmospheric piece — grim, funereal, eerie, mournful. 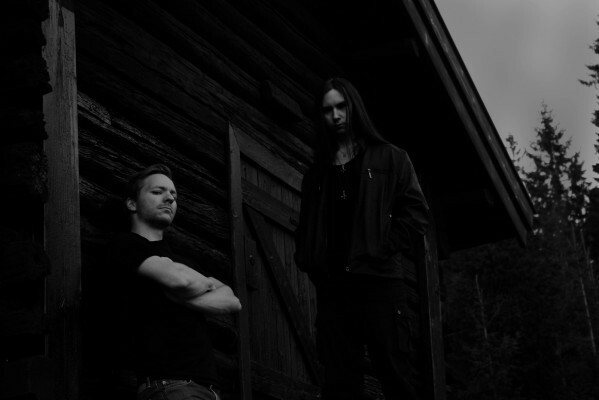 “Svart blod flyter” is a venture into DSBM, a slow-to-mid-paced number that features ringing/shimmering synth and piano notes, an almost jazz-like bass solo, a melancholy guitar melody, and multi-tracked clean vocals that soar with emotional power. It’s intense, haunting, and extremely memorable. Though more predominantly bleak in tone than any other song, it’s a fitting end to an unusual album, in part because it really is about the ending of a life, the lyrics a kind of suicide note: “Turning my back against the world / At war with myself / I swallow a word / You will never hear”. I left one song to the end of this review. It’s not new — it appeared on Solve Et Coagula. I included it in our list of 2011’s Most Infectious Extreme Metal Songs. I still get a thrill every time I hear it. But I won’t say more about “Mentalt Minefelt” (Mental Minefield) because I’ve babbled about it so much in the past. Just hear it for yourself. There’s no good way to sum up what Blodsgard have achieved on the album. It’s too multifaceted and too difficult to pin down. But that’s part of what makes the album such a rewarding experience. So I’ll just leave you with this: Monument truly is a monument to the extravagant talents of Blodsgard’s two creators. Beautifully constructed, superbly performed, and full of surprises, it’s one of the year’s best albums. Monument is being released today on the Italian black metal label The Oath and will be available for order there; there’s no word yet on whether The Oath will make the album available as a digital download. Related merch can be found at the band’s web store (here). Song lyrics in both Norwegian and English can be read at this location. The entire album can be streamed below. This is fantastic. I will buy the physical release the second I get paid. ^ I second this comment.